Two measly little tomatillo plants I picked up as discards from the farm where I got my heirloom tomato plants went crazy in our organic compost this year. 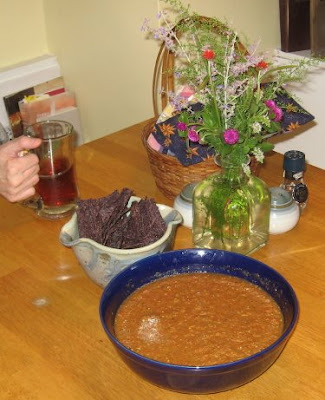 Tomatos have done great as well, so I’ve been playing with salsas. Tomatillos are a new thing for me: I first saw them on a homework field trip with my son to a Hispanic grocery several years ago, but this summer was the first time I have cooked with them. The papery Chinese lantern green balloons grow first, then the fruit swells up to fill the inside. When they’re ripe, they fall to the ground and the papery covering protects them quite well. Below is a selection of our urban garden harvest: the tomatillos in the red bowl have had their coverings removed. 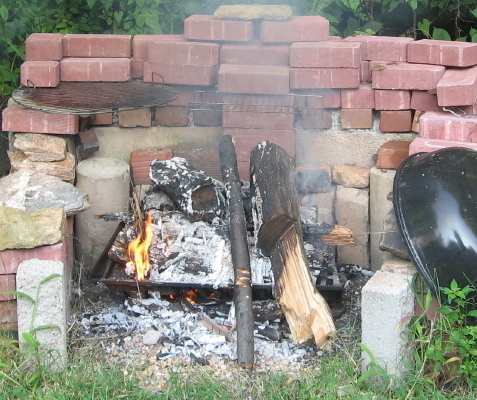 Start a fire. 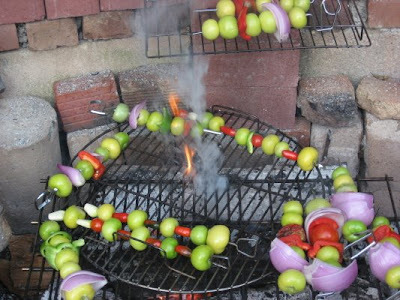 Skewer a pound of washed tomatillos. 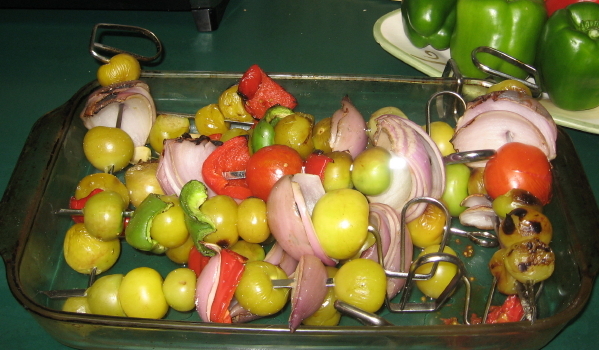 Skewer a quartered onion, 4 small serrano peppers, a quartered bell pepper, and 4 garlic cloves. Roast these materials. (Mine ended up more smoked than roasted). Place roasted vegetables in blender and puree with fresh parsley ( I dislike cilantro) and seasonings. Sautee this result in olive oil. Add a little lime juice and then a cup of broth. Simmer, cool, chill and serve. 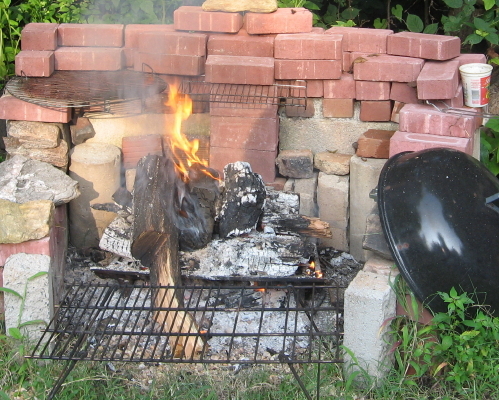 Above are the roasting vegetables. Below is the final product with libation. To see a full album of pictures, including an alternative libation, go to the related post at Pecans and Mistletoe, my nature project blog, which is fast taking on a life of its own as a space for the fascinating issues of sustainable heritage agriculture and locavore food culture in this area, which will be adressed at an upcoming Raleigh conference. I would have never predicted a food post for Raleigh Rambles. But Lily had exposed me to the best of the cooking shows, and reminded me of the great science lessons in cooking processes. Sarah over at Quiet Quality has provided a post and links that reminded me of food as a hot blogging topic, and last but not least, my buddy Clyde issued a kind of challenge after I bragged about the success of my first batch of roasted tomatillo salsa – that first batch being roasted over a charcoal grill. Now I have a confession to make. 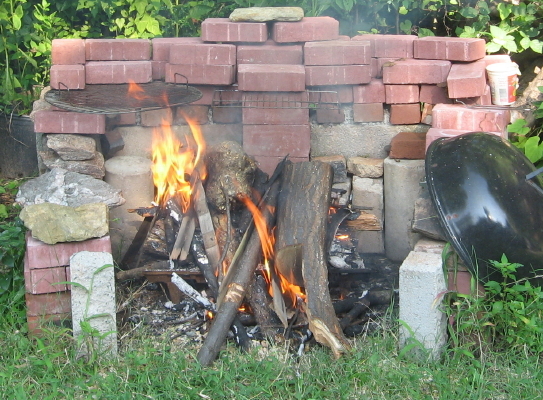 Being overly enthusiastic to use my newly built brick barbeque for this project, and it being the first Friday night of the school year, with the ensuing enthusiasm and libations, I wasn’t on top of my fire game at ALL and, as previously alluded to, I trashwood smoked instead of coal/flame roasted my vegetables. 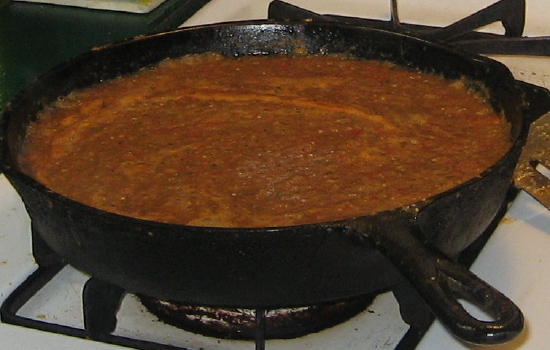 The final result was an overly sweet salsa totally dominated by the powerful smoky flavor. The slightly hilarious twist is that my challenge salsa makes a truly magnificent barbeque sauce for chicken, and we’ve thoroughly enjoyed it that way. I’m still going to make a fresh batch for Clyde! This is the personal weblog of John Dancy-Jones, papermaker, publisher, educator, naturalist and writer. 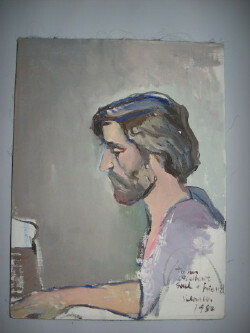 (Not to mention husband of 29 years, father of 2, Raleigh native…) My personal take on arts, culture, and the life of the mind. For more formal writing, see JDJ links on the sidebar. If we had a keen vision and feeling of all ordinary human life, it would be like hearing the grass grow and the squirrel's heart beat, and we should die of that roar which lies on the other side of silence. All of the books in the world contain no more information than is broadcast as video in a single large American city in a single year. Not all bits have equal value. Fascism should be more properly called corporatism, since it is the merger of state and corporate power. As soon as questions of will or decision or reason or choice of action arise, human science is at a loss. Every act of rebellion expresses a nostalgia for innocence and an appeal to the essence of being.